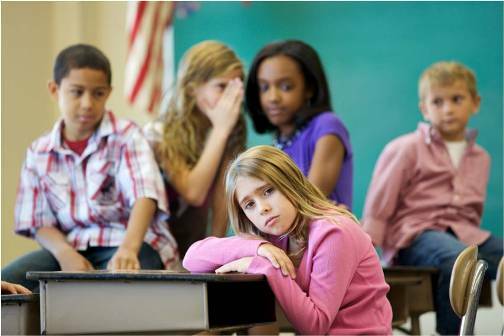 All children, no matter their origin, are potential victims for bullying. While there are many educational institutions - even international schools in the Philippines and other similar countries where this problem is prevalent - do their best to prevent this environment from developing, sometimes it simply cannot be helped. As such, it is imperative that teachers and parents learn how to properly identify, handle, and prevent bullying from occurring in order to be able to foster a kind learning environment that everyone can enjoy. But what is bullying, exactly, and why is it so bad? Bullying is the systematic and repeated inflicting of injury from one person to another. It can come in many forms: social, physical, or emotional abuse all count towards the act of bullying. Adults should not mistake it for child's play, as this abuse is likely to have long lasting effects on the individuals who are on the receiving end of this harsh treatment. One of the most common ways bullying manifests itself is through physical abuse. This is true especially for children. That said, be careful of children who grasp and claw at each other too aggressively or too energetically. While some may see this as normal play, most of the time the dominating one will end up hurting the submissive one. In addition, potentially harmful injuries may occur. Discourage violence at all times. As opposed to the young ones, adolescents may turn to emotional abuse instead. The clichéd notion that girls are mean to each other is rooted in a certain truth, and that is that people during this age tend to judge others according to their own personal scale of perfection. This type of bullying often transcends into social bullying as well; those who seek superiority over their peers are those who bring those around them down in order to make themselves feel better. This often creates outcasts of the victims, damaging their self-confidence and their social standing. Once the aforementioned signs begin to show, it is time to take action. One of the biggest mistakes adults make is that they see this kind of behaviour as something natural, all the while letting the situation deteriorate and the victim to endure the abuse alone. This should not be the case. As the one in charge, they should be the ones to facilitate the environment the younger ones are in, and so it falls upon them to regulate everyone's behaviour. Talking to the affected parties. Sometimes, communication is the best way to resolve all standing problems. Talk and explain to both the aggressor and the victim, and clearly explain to them how their actions negatively affect one another. Their understanding of what the consequences of what they do will help them not just stop, but even prevent others from doing the same. Smoothing out their differences. Facilitate a conversation between the two and find the root of their conflict. Then, resolve it (if applicable). If not, then refer to the first step and explain why bullying should not be tolerated. Enacting punishment. There are rare times when talking is not enough and a little bit of force is needed. This is where negative reinforcement will come in. Every time the offended bullies someone, sentence them to a punishment that fits their crime. Over time, their bad behaviour will decrease. Setting an example. The youth learn through imitation. Bullying is a worldwide epidemic with a cure, and all that's needed to be done is to find the time to apply it. Do so today!